- Tiny, delicate, and exquisitely detailed, these magical twin dragons will guard your fortune wherever you go. 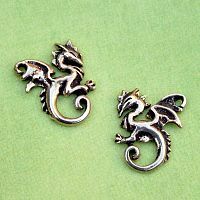 Made of sterling silver, for pierced ears only. Earrings measure 1/2" tall. 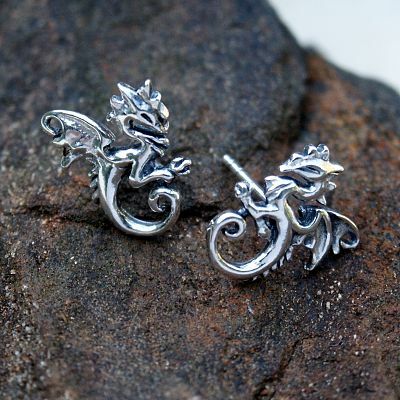 Do you have any other questions about our Silver Dancing Dragon Stud Earrings?